Iron Man ARC Light Attaches To Any Shirt | OhGizmo! 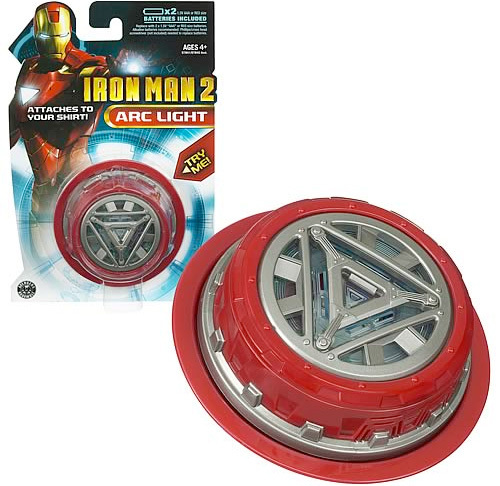 Star Wars fans always head to the theater with a lightsaber in tow, and now Iron Man fans can come prepared for the much anticipated sequel with this glowing ARC Light replica that attaches to any shirt. Presumably there’s LEDs and batteries involved, though I’m not sure how it actually attaches to your garment. It’s just $7.59, available for pre-order from Entertainment Earth, but I’m sure as we get closer to the movie’s release date you’ll be able to find merchandise like this pretty much everywhere. This concerns me, but if it's just a pin, that might be a problem. The price is awesome and the idea is just as cool.